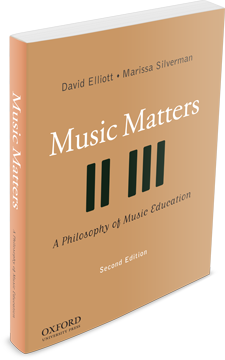 In the midst of today’s tragic social, political, racial, gendered, and other conflicts, can amateur and professional music makers and school and community music programs contribute to positive social and community transformations? Yes. To demonstrate our solidarity with and support for all those who are suffering we’ll post one example of active music making for positive social transformations every day until the American Labor Day Holiday (09/04/2017), at which point we’ll resume our regular schedule of posts on related topics. This entry was posted in Advocacy, Artistic Citizenship, Music, Music Matters, Personhood, Values. Bookmark the permalink. Enter your email address to get updates sent directly to your Inbox!